There are no prerequisites, age restrictions or water sessions required for this course – it’s open to everyone. Scuba divers, snorkelers and anyone who is around divers – boat crew, lifeguards, etc. – will benefit from having this training. What will you learn? Visit Seaweed Diver to enroll in the course and get your PADI Emergency Oxygen Provider Manual. Read the manual before class as directed by your instructor in preparation for skill practice. 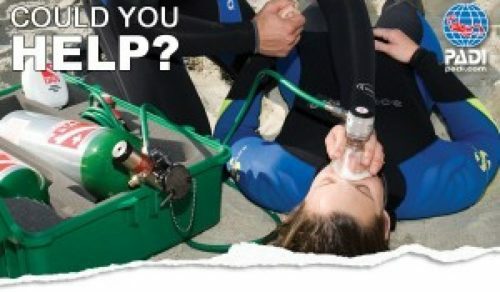 Your Seaweed Diver PADI Emergency Oxygen Provider Instructor will have emergency oxygen units available to use for training and Seaweed Diver staff can help you purchase your own unit for use after the class. You’ll also need to have a disposable non-rebreather mask to use during practice sessions, which your instructor can help provide.